SEOUL, South Korea — The South Korean Army plans to deploy surface-to-surface missiles in a newly created counter-artillery brigade by October, with the aim of destroying North Korea’s hardened long-range artillery sites near the Demilitarized Zone, should conflict erupt on the Korean Peninsula. The plan is part of South Korea‘s defense reform for developing an offensive operations scheme, a defense source said. The tactical missiles are developed locally. The three-year development of the GPS-guided Korea Tactical Surface-to-Surface Missile was completed last year. 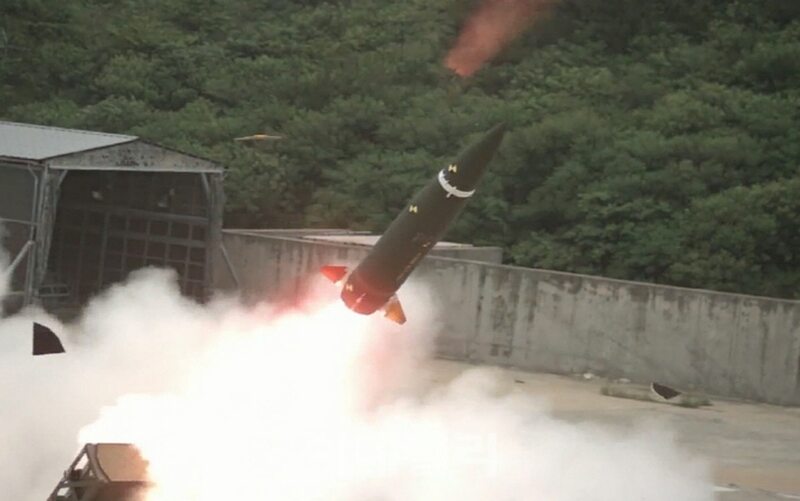 Hanwha Corporation, a precision-guided missile maker, led the development in partnership with the state-funded Agency for Defense Development, or ADD. The missile, dubbed “artillery killer,” has a range of more than 120 kilometers and can hit targets with a 2-meter accuracy, according to ADD and Hanwha officials. Four missiles can be launched almost simultaneously from a fixed launch pad. The missiles can penetrate bunkers and hardened, dug-in targets several meters underground. The artillery brigade is also to operate the Chunmoo Multiple Launch Rocket System, which can fire three types of ammunition: 130mm nonguided rockets; 227mm nonguided rockets; and 239mm guided rockets. The hitting range of the rockets are 36 kilometers, 80 kilometers and 160 kilometers, respectively. According to the 2016 Defense White Paper, North Korea has some 8,600 towed and self-propelled artillery, as well as 5,500 multiple-launch rockets. Seventy percent of them were deployed near the border. North Korea has forward-deployed 340 long-range guns that can fire 15,000 rounds per hour at Seoul and the surrounding metropolitan area.